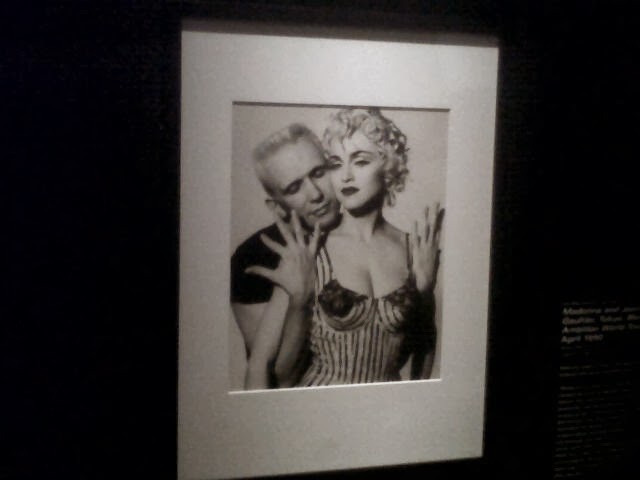 If you are a fan of Jean Paul Gaultier as we are here at LaMode365, then you should catch the exhibit at the Brooklyn Museum. And even if you simply just love fashion in general, this exhibit entitled: The Fashion World Of Jean Paul Gaultier; From The Sidewalk To The Catwalk, is a must see. By the way, as a huge fan of Madge it was nice to see her in some of her glory days. Loving this pic of Madonna and Jean Paul below.